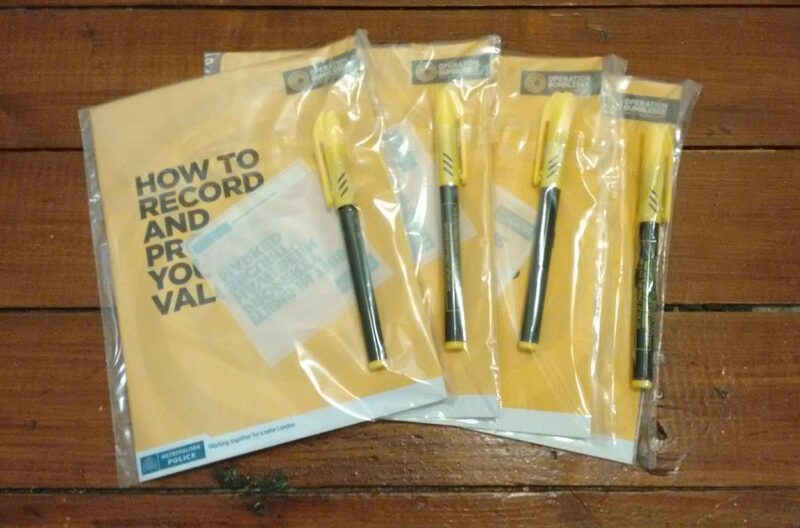 Our local Police Safer Neighbourhoods Team have given us some pens which we can use to mark valuables. This will help the police to identify stolen goods and return them to their rightful owners. Do get in touch if you would like to borrow or have one of these pens.